Yokogawa is investing significantly in Saudi Arabia to maintain its cutting-edge research and leadership in innovation and industrial applications through its commitment to sourcing human resources in-kingdom. 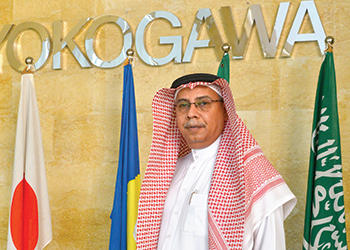 Ahmad Ali Al-Abdrabbuh, director and senior executive vice president is helping spearhead the growth of Yokogawa in Saudi Arabia. Al-Abdrabbuh has long been associated with industrial applications in the process sector since graduating with a computer engineering degree from the University of Arizona. Key positions followed in Saudi Aramco and later in the pacesetting Saudi Aramco Shell Refinery (Sasref) in Madinat Al-Jubail in the 1990s. 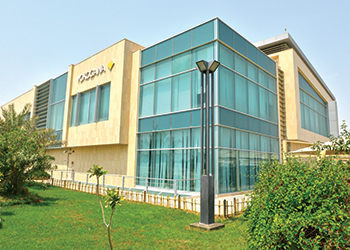 In an exclusive interview with OGN, Al-Abdrabbuh says Yokogawa has been awarded critical projects from Saudi Aramco, such as Master Gas System Expansion, Fadhili Gas Plant and upstream skids business. A key driver for Yokogawa worldwide in its 100th anniversary year is to develop new markets, acquire and develop advanced technologies and nurture strong engineering and technical personnel in advanced process control, management information systems, and process control loops. With these advanced technologies being developed, how important is your location in the Dhahran Techno Valley next to KFUPM? With the new Transformation 2017 mid-term business plan (TF2017), Yokogawa will continue to focus on the control business and will restructure its business to focus on customers, create new value and become a highly efficient global company. This is in response to changes in markets, competitors and the types of values that customers seek. Tap into the resources available from leading institutes in Saudi Arabia, such as KFUPM and King Saud University in addition to close collaboration or joint research. What have been the highlights of Yokogawa’s performance in Saudi Arabia and the wider Middle East during the first half of 2015 and how is the trend comparing to 2014? Specifically in Saudi Arabia, despite the low oil price situation and related slowdown in investments and business, we have been active in the upstream sector of oil and gas, power and utilities and mining related sectors. Two substantial Saudi Aramco projects involving almost 300+ RTUs (remote terminal units) and associated Scada systems commenced during 2015 increasing our total thus far to almost 400 RTU related systems and projects. Major gas related Saudi Aramco projects involving the supply of control and safety systems and associated RTUs was also contracted this year with execution duration of about one year. Power and utilities sectors have also been good with both upgrades and new installations. Also, Yokogawa has been quite active in serving several existing customers in terms of expansion, modification and upgrades. How has Yokogawa’s Diversified Business Operations helped it serve a broader customer base? In the Saudi Arabia power sector, Yokogawa is now an approved and well-recognised local supplier which has enabled us to serve those customers. Yokogawa’s range and expertise in advanced solutions and related services such as operator training simulator, alarm management and network security have enabled us to serve not only our existing installed base customers but also plants with systems supplied by others. From 2014, Africa has become part of our regional operations. It has widened our reach both in terms of customer base and industry type. Can we look at some of the achievements and new contracts during the period and how Yokogawa is meeting client expectations? Yokogawa is proud to be associated with the various ongoing projects of Saudi Aramco that are being executed to meet its commitment for the supply of gas to the local market and has recently completed major site activities for the commissioning of the Shaybah NGL Programme. Another recent significant milestone by Yokogawa is the successful implementation of its state-of-the-art Scada System at Uthmaniyah GOSP 7 for Saudi Aramco. It provides a tool for operating Saudi Aramco assets and provides users at various levels of Saudi Aramco with current operational information. An achievement in the Power sector is the successful completion of 2X 600 MV Combined Cycle Power Plant for Shoaiba II. We worked closely with Daelim, Korea (EPC) and supplied DCS for the plant helping SEC to start the plant and synchronise all units in time. This added a crucial 1,200 MW to the electric grid of Saudi Arabia. Yokogawa has won some major projects in the power sector in the last 12 months, including new ones and revamping existing projects. Also, Yokogawa has been awarded critical projects from Saudi Aramco, such as Master Gas System Expansion, Fadhili Gas Plant and upstream skids business. In addition to serving the projects in Saudi Arabia, our Saudi office has been exporting value-added equipment and services to our projects in other countries in the region, such as the UAE, Bahrain and Qatar. Do you plan to expand and invest further in the region? If so, kindly elaborate? Expansion and investment in the region is a part of our business growth plan in the Middle East and Africa, aligned with the customer requirements. 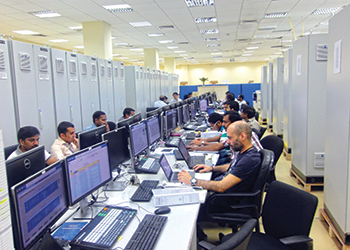 Yokogawa is establishing a transmitter modification line in Saudi Arabia and a new office facility including a staging/testing area in Oman. Yokogawa has recently established a new engineering centre in Nigeria and is progressing with enhancement of an engineering centre in South Africa. Have you finalised when you will be able to deliver distributed control systems for the PP13 and PP14 combined cycle power plants in Riyadh? In PP13, we are in an advanced stage of engineering and the delivery is scheduled in the month of November 2015. For PP14, we are working closely with SEC and its consultant to finalise systems delivery based on their design progress. How has the order from Samsung C&T Corporation to supply control systems for the Rabigh 2 combined cycle power plant in Rabigh helped you to extend your control business in the power sector? Rabigh 2 IPP project is a significant addition to Yokogawa’s growth in the Saudi Arabia power sector. Besides this project, we have executed the Marafiq-Yanbu conventional thermal PP and SEC’s Shoaiba-II combined cycle PP, which are now fully operational. We are now executing SEC’s PP13, PP14, PP12 and PP9. In addition, Yokogawa is indeed proud to be executing the prestigious Jeddah South Supercritical Thermal PP project, which is the ‘first supercritical thermal plant in GCC with four units of 735 MW each. One unit is in the commissioning phase and our systems for the other three units are ready to be delivered. One key aspect is that we are supplying integrated control and safety systems, used for electrical control and monitoring for the entire plant including the industry-specific electrical communication protocol IEC 61850, an integral feature of our control system. What are your new product offerings, which would help it enhance its customer base and presence in the market? Yokogawa’s few recently released products are Network I/O for our flagship Control System Centum VP, ISA 100 based wireless products, Distributed Temperature Sensing using Fibre Optics, Laser-based Analyser Systems, Optical Spectrum Analysers and Smart Recorders. In addition to plant control, Yokogawa offers solutions for Plant optimisation/scheduling/planning such as RTOC, terminal management system, operator training simulator, network security, CCTV, alarm rationalisation and other advanced solutions that add value to our customers. How is the positive outlook for the semiconductor market going to benefit Yokogawa’s operations? Yokogawa expects that such a positive market trend will help expand our solutions for the semiconductor industry and further lead to new solutions/products development also. Yokogawa has solutions for semiconductor and flat panel display manufacturing customers, such as the Yokogawa YDC Sonar package used for product line improvement. How has the entry of new players in the control and information equipment industries affected Yokogawa’s business? Yokogawa continues to broaden our business range through ICT, loT and "smart" digital technologies. The company creates new value for our customers for a brighter future as a solutions’ provider. We view the entry of new players are more opportunities. How has your strong R&D base given the company an advantage over your competitors? In line with the Japanese culture and Yokogawa’s corporate values, since its inception, Yokogawa has been promoting the manufacturing excellence, consistently by supplying devices and systems with long-term stability. Our R&D base with a comparatively healthy expenditure helps us to be at the forefront of reliability-enhancing technology and interoperability through global standardisation activities. Ultimately what do the research activities of Yokogawa concentrate on? Research activities of Yokogawa ultimately concentrate on solution-oriented R&D in the general areas of energy, food and water. Solution R&D focuses on the process of analysing the ideal target of the future, identifying common market needs and creating technology that meet users’ needs as well as develop interfaces as the de facto industry standard. What is the effect of the changing environment and waste management regulations on the company’s business? Current requirements for environmental regulation and strict monitoring / enforcement have resulted in industry’s recognition of its criticality and potential to impact business. Yokogawa has extensive experience in such applications and related proven solutions both globally and regionally. NOx, SOx, Cox monitoring (continuous emission monitoring systems) flare control (through control system and APC). For waste water management, Yokogawa has long been a leading supplier of analytical, measurement and automation equipment/solutions. Energy efficiency initiatives driven by the industry require proven advanced solutions which is an opportunity for us. Internally, we have implemented an Environmental Management System certified for compliance to ISO 14001. We conduct regular environmental awareness programmes for our employees and also engage in related CSR activities in the region.